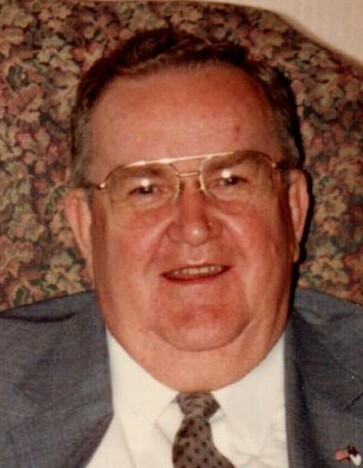 Robert Leon Jackson Sr., age 92, formerly of East Liberty, Ohio passed away Tuesday morning January 22, 2019, at Green Hills Community in West Liberty, Ohio. He was born in Logan County Ohio October 21, 1926, to the late Frank E. and Dorothy I. (Curl) Jackson. Bob married Ethel Louise Waltzer June 25, 1946, in Cadiz, Ohio, and she preceded him in death June 28, 2015. He was also preceded in death by a daughter, Ina Marie Kaiser; a granddaughter, and siblings Thelma Pryor, Wilma O’Niell, Mary Loveland, and Richard Jackson. Bob is survived by a son, Robert L. (Mary) Jackson Jr. of Bellefontaine, Ohio; a daughter, Louise Lancaster of Denver, Colorado; a sister, Eileen Loveland of Cincinnati, Ohio; seven grandchildren, Cindy Allen, Sheila Boots, Jonathan Clark, Joseph Gresko, Laurie Gresko, Angela Merriman, and Kevin Kaiser; nine great-grandchildren, Ashley Jackson, Jonathan Fenimore, Justin Milton, Zachary Milton, Brice Clark, Noah Boots, Cody Boots, Landon Veloz, and Sabastian Silas and numerous nieces and nephews. Bob was a veteran of the United States Navy having served as a Ship’s Cook Third Class during World War II. A machinist by trade, he worked forty four years at Harding Machine. He had also worked as a tree trimmer for Jack Brown Tree Service. Bob also served his East Liberty community on the Perry Township Zoning Board for several years, was a member of the Perry Township Fire Department, a Constable for East Liberty/Perry Township and was appointed as a Logan County Special Deputy by Sheriff Skidmore. Bob enjoyed mushroom hunting, fishing, and rabbit, pheasant and squirrel hunting with his dad and brother. He was a member of Goshen Friends Church and the East Liberty American Legion – Post #0745. Visitation will be held at the Eichholtz Daring & Sanford Funeral Home & Cremation Center in Bellefontaine Friday, January 25, 2019 from 4 to 6 P.M., and again Saturday from 10 to 11 A.M.
Pastor Wayne Downing will officiate the funeral service Saturday, January 26, 2019 at 11 A.M. at the funeral home. Burial will be at the East Liberty Cemetery with military honors provided by the Logan County Veterans Honor Guard.